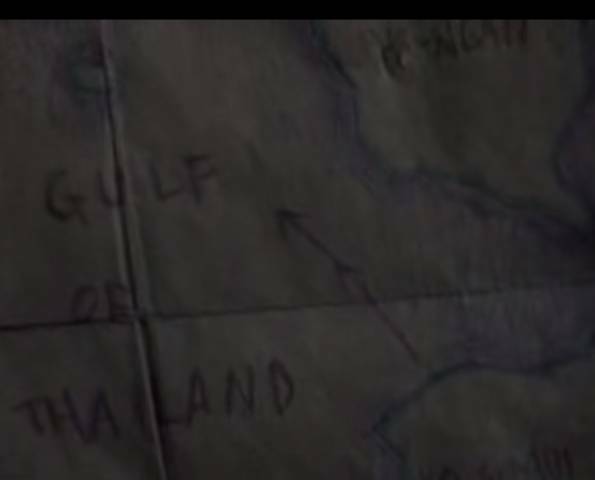 Daffy made this map in the movie "The Beach." I have studied maps for years, the more you study them, the move obvious the path becomes. I sometime look in the mirror, talk to the man, and ponder, has being a traveler made me a better man? Yes, I have an overabundance of stories to bore people at parties, that I try to avoid telling because any story I tells sounds like bragging. However, has travel changed me, yes it has. I look for a simple map to enjoying my life, if the heat get to hot, I get out of the water. I feel no compulsion to make other people happy. The problem with the map to happiness, is nobody is searching for happiness, they search for girls, they search for money, they search for a car. "Andy, I came traveling to search for happiness." There is no need to travel to be happy, but there is a need to search for the map. Then become savvy enough to avoid people who cause problems, because things that cause problem, do indeed cause problems. I am going to board an airplane tomorrow. One a day, I try to close my eyes, open them again, find a new channel, then find a better path on the map to happiness. Running when things get to crazy.